Madness. Australian strawberry farmers have been devastated recently by an appalling act of sabotage, recklessly compounded by numerous copycats. It made me furious and so sad for the farmers, images of mountains of berries dumped by the truckload. Farmers are doing it tough, so many family businesses struggling. 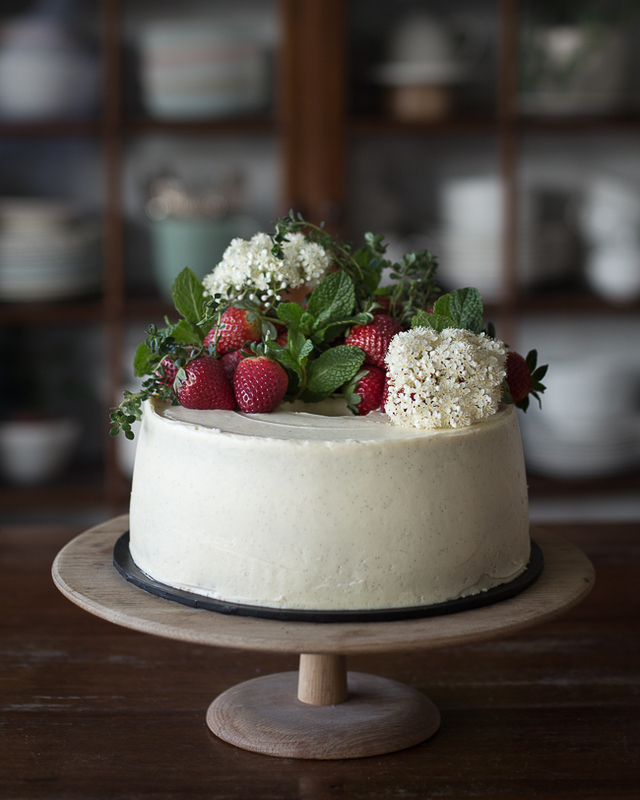 In celebration of the strawberry and support of our farmers, I'm buying lots of strawberries, and making cake. 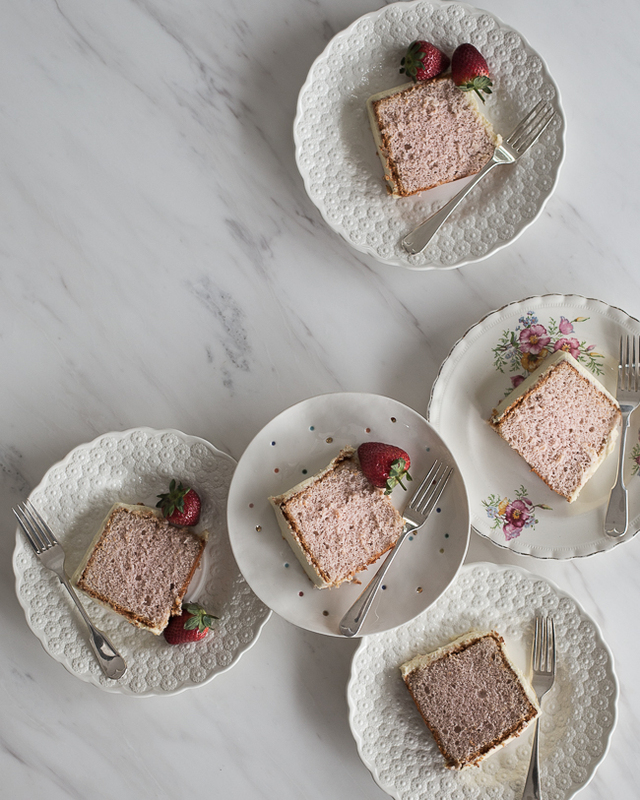 The soft pink of this sponge against the creamy frosting is just lovely, I'd like to pack in more strawberry flavour, next time roasting the strawberries with some of the sugar before they're puréed. Usually I wouldn't share a recipe before I'm completely happy with it, but the timing is right, and any suggestions on that strawberry flavour would be great! Chambord is a wonderful black raspberry liqueur, it adds depth but is not essential here, you could sub it for another liqueur or just leave it out entirely and increase the strawberry purée to 180ml. As always I was a bit carried away with the decoration, so many strawberries, mint, thyme, and the sweetest little flowers from our hedge. 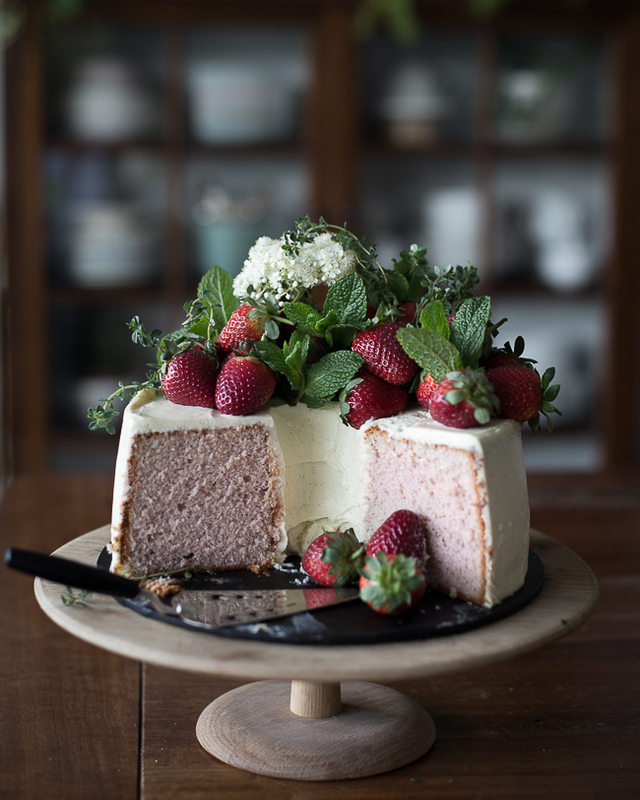 • again with the offset pallet knife, cover your cake with a final thicker layer of frosting and return to the fridge for at least 15 minutes, this will firm up the frosting and stop your strawberries sliding of the cake! I love chiffon cakes! This one looks so delicious and fluffy! Can't wait to try this recipe.